The WooCommerce shopping cart can be completely replaced with an order form, for websites that prefer to offer only order forms. Just a few settings are required, and some custom steps. Install the WooCommerce and Order Form for WooCommerce plugins. However, when WooCommerce asks you to install WooCommerce pages, just skip that step by clicking the “Skip setup” button. You can set up products in WooCommerce as normal; nothing changes here. Add a page for your website, and give it a shortcode for the WooCommerce checkout. Add a page for your website, and give it a shortcode for the main order form. 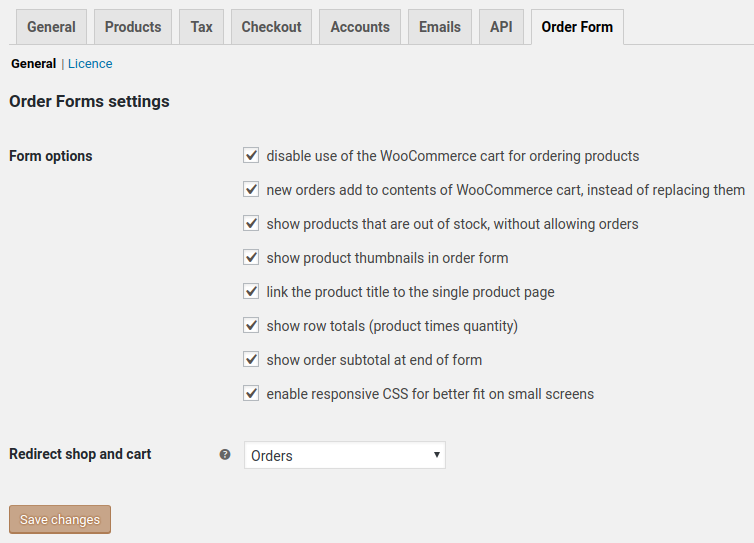 Visit the Checkout settings page in WooCommerce settings, and select the Checkout page. Also select the Cart page, and use your new Order page — it takes the place of the cart. Visit the Order Form settings page in WooCommerce settings, and select the Orders page for where to redirect the shop and cart. Visit your Orders page and order a few products, to make sure that you have everything set up correctly.